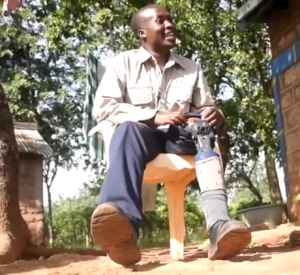 London-based 3D printing company 3D LifePrints was able to provide 3D prosthetics to amputee patients from poor and developing countries. It was estimated that more than 15 million amputees from the poorer regions in the planet do not have access to sufficient medical care thus, this humanitarian act provides relief for a lot of patients. To provide many amputees with 3D prosthetics, 3D LifePrints has been relying on the generosity of a pool of medical experts, technologists, social entrepreneurs, and academic researchers to raise funds and at the same time do more research on developing better 3D prosthetics. The 3D prosthetics provided by the company are deemed very helpful for all amputees, but there are several problems encountered by the company. To date, the main supplier of prosthetics is the International Committee of the Red Cross, but they are still expensive that even ordinary people cannot afford it. The challenge by 3D LifePrints is to make prosthetics that are cheaper, more comfortable as well as more functional than they used to be. Making 3D prosthetics available to poor patients in the third world countries can help not only improve their lives but also uplift their morality as it gives them the chance to be able to live normal lives.